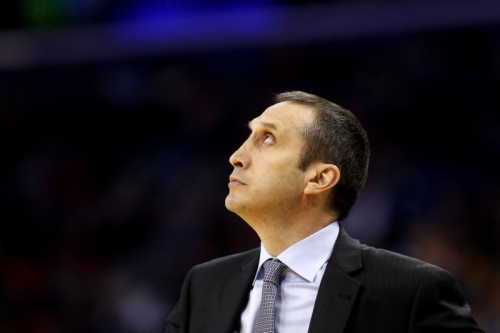 The Cleveland Cavaliers fired head coach David Blatt yesterday. Evidently the front office thought that Blatt was not the person who could lead them to an NBA championship. The decision came as a shock to many. The Cavaliers currently have the best record in the Eastern Conference, at 30-11. Last season, his first in Cleveland, Blatt led his team to the NBA Finals, only to fall short of the championship by two games. You would think with that kind of record you might have some job security, maybe even deserving of a contract extension. As it turns out, that wasn’t the case. Blatt must be wondering what more he could have done to keep his job. How good do you have to be, anyway? That’s the way many people approach eternity. They try to live a good life—more wins than losses, at least—and hope that God will allow them to enter heaven based on the merit of their performance. The problem with that system is, how do you ever know if you’re good enough? What if you end up with one sin too many, or with one less good deed than the required amount to get into heaven? How do you know for sure if you really measure up? Fortunately, that’s not how we are saved. No one could ever be good enough to earn their way into heaven. God operates on a system of grace. Through our faith in Jesus, we can accept God’s free gift of salvation. We can’t be “good enough”. But Jesus can be–and he is–good enough to save us. “For it is by grace you have been saved, through faith—and this is not from yourselves, it is the gift of God.”—Ephesians 2:8. This entry was posted in Christian Living, Communion Meditations, Current Events, Sports and tagged Cleveland Cavaliers, David Blatt, Ephesians 2:8, fired coach, grace, Heaven, illustration, salvation. Bookmark the permalink.